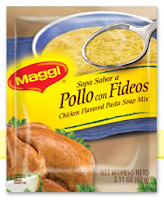 FREE Maggi Soup Mix w/ Coupon! Print out this new coupon to get a great deal on Maggi Soup Mixes at Walmart! I've never tried this soup before...have you? we have this all the time at my house!! my kids love it!! my sons wants to eat it every night! !